Whilst building things I’ve also been painting things. 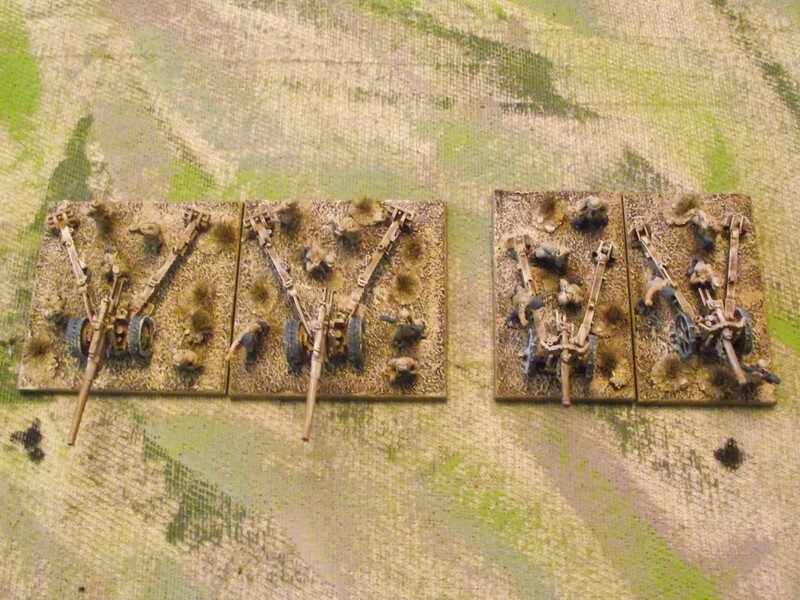 My 15mm Africa WW2 forces lacked artillery and recon units – so I have tried to fill some gaps. 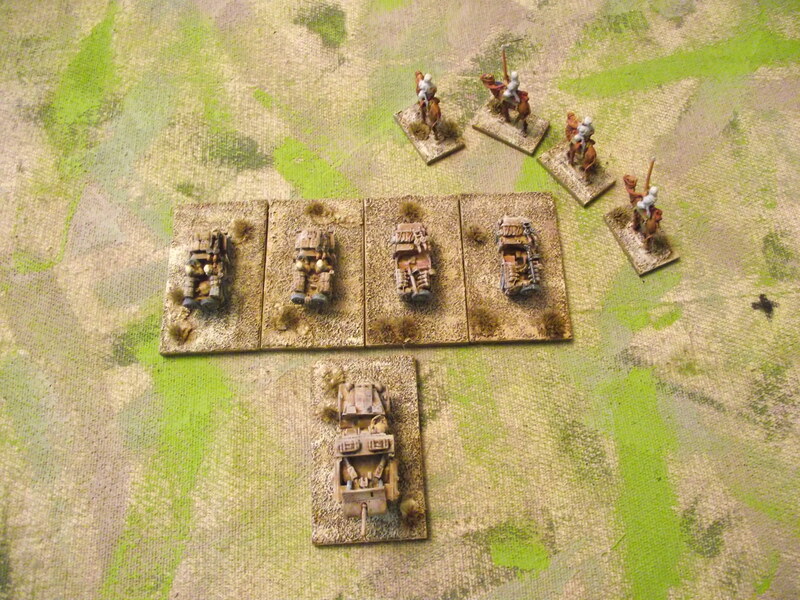 For my current preferred rules Krieg onhe Hasse (KoH), and the rules I want to try out, Battlefronts Tobruk (BT), artillery and recon are important units and need to be shown on the table. KoH is an operational level game so artillery find a true place on the battlefield as the ranges can be accommodated on the tabletop. 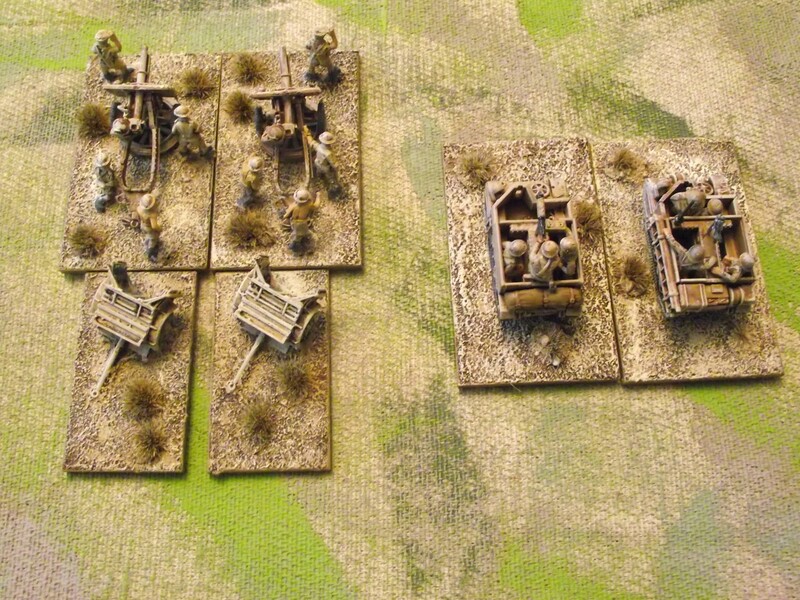 BT however I am a little stumped by – the lists include artillery units, but it is a 1:1 scale game (I believe – it isn’t exactly explicit) – so what’s going on with the ranges here? Well, I think it suffers from the modern rule writing symptom – reduce ranges to get all the toys on the table, whilst using a figure to man scale that enables the player to use all sorts of units. I am hoping to play my first game with Kevin when he comes up for shearing (not him, the alpacas) at the end of the month, and we will see. First up some German artillery. On the left 2 150mm, and the right 2 105mm. Both models are from Forged in Battle, and are better models than I make them look. Next, 2 German 50mm AT on the left (Forged in Battle) and 2 PzJag 1’s (Battlefront FOW) – I’m looking forward to using these!! Next up, the British. 2 25pdr guns and ammo stores (Forged in Battle) alongside my MMG and Observer Universal Carriers (Plastic Soldier Company). I shall be making a German observer carrier as well – captured equipment was common place in Africa. Next Jeeps. 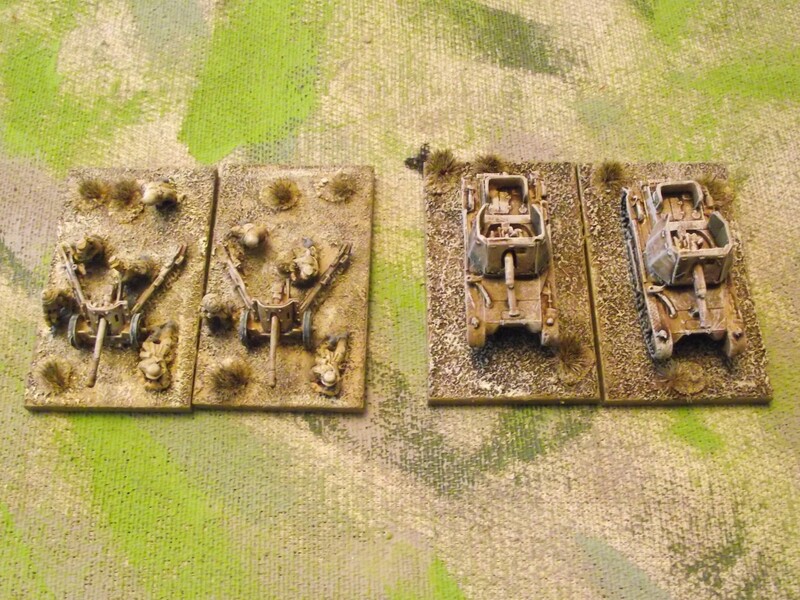 2 LRDG jeeps on the left (Battlefront FOW) and 2 desert jeeps on the right (Peter Pig). The Portee Bofors 47mm is also Battlefront FOW. The Arabs, mounted on camels, are to be used as local guides and are from Peter Pig. 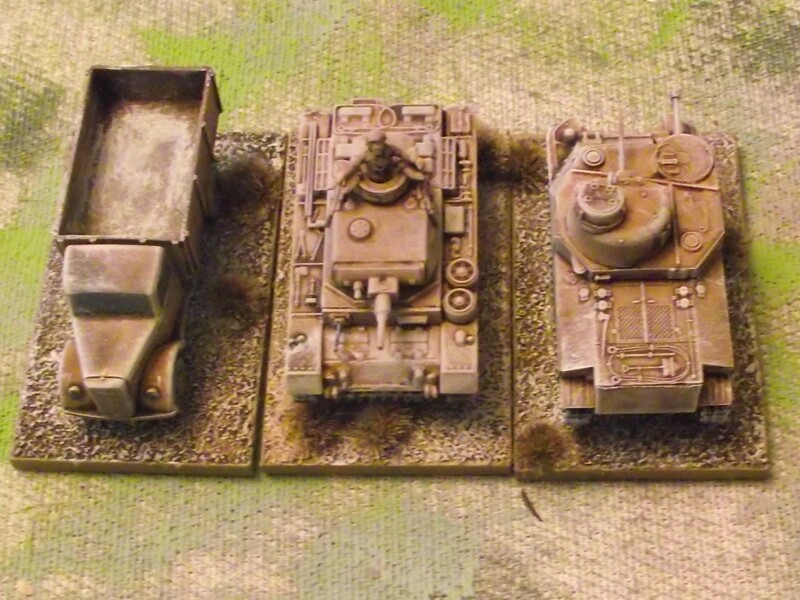 Next, just a few odds and sods hanging around – left to right : a Zvezda Opel Blitz, a Pz III G and a Zvezda Grant tank. I want to build some rock sangers now.